Even before Hillary Clinton beat Bernie Sanders by a wide margin in the South Carolina Democratic presidential primary, the political and media elites that police American democracy were busy writing Sanders out of the running. This is what happens in American politics. From the earliest stages of the primary process, pundits and political operatives try to wrap things up in tidy little boxes of conventional wisdom. Again and again, the message is delivered: Everything is finished but the final counting up of delegates, despite the fact that the vast majority of states have not voted. The pressure to conclude the competition disempowers voters and damages the discourse, and candidates have every right and reason to resist the rush to shut the competition down before it has really begun. But resistance is futile if a candidate gets no encouragement to challenge the emerging narrative. That is one of the reasons why a once-crowded Republican presidential race is a whole lot less crowded these days. Something has upset the rush to write off Sanders, however. It seems that a good many Democrats, including several prominent partisans who just endorsed the insurgent, are disinclined to embrace the conventional wisdom. Yet the primary schedule goes on through June 14, with a number of states that are friendly to Sanders voting in April and May, and the biggest prize for both candidates (California) up for grabs on June 7. Sanders says he can go the distance. And his supporters signaled that they are ready for the long run. 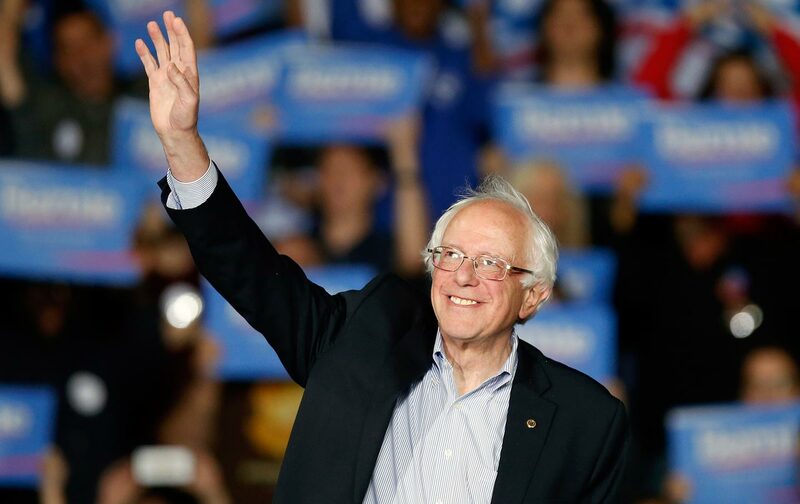 Immediately before and after South Carolina’s primary voting, Sanders spoke to huge crowds in Dallas and Kansas City and Tulsa and Oklahoma City, communities where few would have predicted even a year ago that a democratic socialist would attract thousands of cheering supporters. At the same time, the senator won two of the highest-profile endorsements of his run. The longtime associate of Bill and Hillary Clinton explained that his endorsement had to do with issues, as opposed to personalities. “I have the deepest respect and admiration for Hillary Clinton, and if she wins the Democratic primary I’ll work my heart out to help her become president. But I believe Bernie Sanders is the agent of change this nation so desperately needs,” he wrote, while focusing on the issue that has animated the Sanders insurgency. “This extraordinary concentration of income, wealth, and political power at the very top imperils all else—our economy, our democracy, the revival of the American middle class, the prospects for the poor and for people of color, the necessity of slowing and reversing climate change, and a sensible foreign policy not influenced by the ‘military-industrial complex,’ as President Dwight Eisenhower once called it. It is the fundamental prerequisite: We have little hope of achieving positive change on any front unless the American people are once again in control.” Two days after Reich made his announcement, Congresswoman Tulsi Gabbard, D-Hawaii, endorsed Sanders. And the next day, Congressman Alan Grayson, D-Florida, announced that he will give his superdelegate vote at this summer’s Democratic National Convention to the senator from Vermont. Clinton retains the backing of the overwhelming majority of party leaders and superdelegates who have made commitments in the race. But the moves by Reich, Grayson, and Gabbard drew plenty of attention. The announcement by Gabbard was particularly dramatic, in that the congresswoman stated on national television that she would quit a party leadership post in order to free herself to campaign for Sanders. Gabbard is a proudly independent member of the House Democratic Caucus who does not mind stirring controversy or breaking with leadership. She has sparred with the Obama administration over foreign policy, she has sparred with congressional Democrats over defense policy, and she sparred with the party leaders over debate policy—making headlines early in the 2016 race by stepping up, as a vice chair of the Democratic National Committee, to demand more forums featuring the presidential candidates. In an appearance on NBC’s Meet the Press, Gabbard said concerns about foreign policy and issues of war and peace had led her to choose Sanders over former Secretary of State Clinton. “I think it’s most important for us, as we look at our choices as to who our next commander in chief will be, [to] recognize the necessity to have a commander in chief who has foresight, who exercises good judgment,” explained Gabbard, an Iraq War veteran and member of the Hawaii Army National Guard. She has been especially outspoken in her criticism of regime-change strategies that she suggests are dangerous and ineffective. To that end, she has introduced legislation seeking to focus US policy on defeating the Islamic State, Al Qaeda, and other terrorist groups in Syria, as opposed to a dual strategy that seeks to combat terrorist groups while also trying to overthrow Syrian President Bashar al-Assad. She has been a sharp critic of Clinton’s proposal for a no-fly zone in Syria—which President Obama and Sanders also oppose. In a video released Sunday, Gabbard painted the Democratic race as a stark choice between competing approaches to international and domestic challenges. Grayson, a popular figure with grassroots Democrats who has often clashed with party leaders on questions of policy and political style, is mounting an insurgent bid this year for his party’s Senate nomination in Florida (and getting plenty of pushback from top Democrats such as Senate minority leader Harry Reid). The congressman conducted an online poll asking who he, as a Democratic National Convention superdelegate, should support in the presidential race. “The response has been absolutely overwhelming. Almost 400,000 Democrats voted at GraysonPrimary.com. More than the number who voted in the South Carolina primary. More than the number who voted in the New Hampshire primary and the Nevada caucus combined,” wrote Grayson in a Monday message.